We are working hard on developing our DApp ready for public (beta) release later this year. We have successfully trialled integration of the HireGo demo DApp with Trust Wallet Browser. We look forward to trialling our public DApp later this year in collabortion with our industry partners. Join our Telegram to stay up to date and feel free to get in touch with us. The future of mobility is shared. Join our exciting project by taking part in our presale, now live. 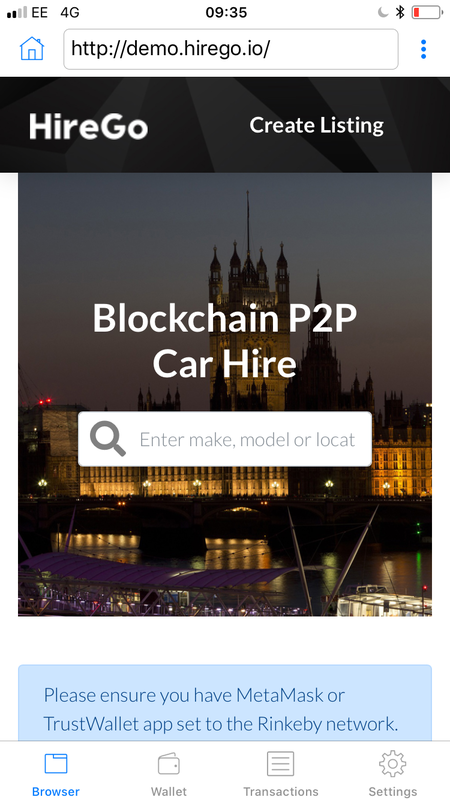 Operations Director at HireGo Ltd Decentralised car sharing. Technology and Cricket fan.